On 1 Feb 2011, forming reversal candlestick. 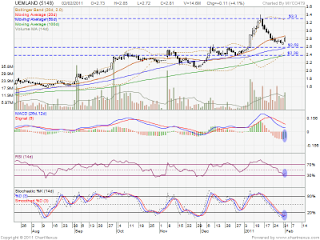 On 2 Feb 2011, RSI & Stochastic %K indicator already trigger buy. 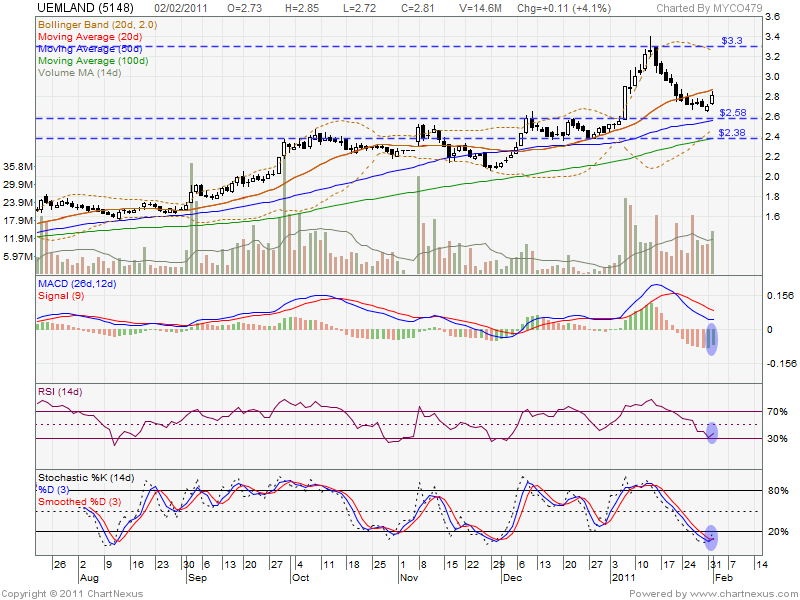 If able break up RM2.85 (MA20) resistant, it might retest RM3.30 level.